Then everything went wacky. Starting with the online. Let’s face it. Nintendo was going to get with the times and introduce a paid online service. Sony and Microsoft were already doing it and Nintendo wasn’t about to leave that money on the table. But they didn’t give any justification for having it other than giving a free NES/SNES game every month. You don’t even keep the game.Furthermore, voice chat and other online functionalities require a phone to use. Listen. It maybe 2017 but not everyone has a phone. It was a baffling decision and it just goes to show how out of touch Nintendo are with the times and how they still don’t grasp how to do online gaming correctly. Edit: It seems that the yearly fee is anywhere around $18-$27 USD. So approximately 1/3- ½ the price of PS+ and Xbox Live. The wording of the pricing is indicating a tiered structure which is pretty intriguing depending on what Nintendo offers besides the monthly free game. They started going on and on about those joycons. Personally I don’t have anything against the joycons except that apparently each joycon can be used as a single controller as well. It seems unnecessarily complicated and it doesn’t make sense that any game would try to use single joycons as individual controllers. Remember the Wiimote? No one really used just an individual wiimote. You always had the nunchuk attachment. Games today require the dual joystick configuration and with a set of 2 running you $70 usd, it just seems that Nintendo tried to justify the high price by claiming you get 2 controllers for the price of one. The two aren’t even equal. The right one has an IR controller which automatically gives it additional utility over the left. The new HD rumble feature is cool but unless one actually tries it out in person it doesn’t seem convincing since that sort of feature doesn’t come across in video. Call it the VR problem. The console itself is basically a souped up tablet. The 720p screen is disappointing but it’s a realistic compromise considering the amount of power that games take. A 1080p screen would probably drain the battery in no time. And speaking of the battery, it’s not too impressive as well. Nintendo claim 3 hours of battery life, which frankly is pretty pathetic but that’s the cost of running games like Breath of the Wild on a portable device I guess. Maybe the hardware engineers could try to hook up with Elon Musk and get those fancy batteries Tesla’s working on for the next revision. Supposedly the screen quality and viewing angles on the screen are quite good which is encouraging. It’s also a capacitive touchscreen which means no more stylus. And it’s MULTITOUCH. Yes Nintendo brought touchscreens to the masses with the DS, but times have changed. The bezel is huge though. It makes the switch look bulky and really detracts from the sleek look they were going for. They didn’t address how it would look outdoors too which Is a huge issue for a console that was touted to be portable outdoors. Moving on to the games. They showed off their now standard minigame game collection with 1,2, Switch! For a VIDEO game it sure didn’t focus very much on the video part. The worst thing was it wasn’t even a pack in for the system like Nintendoland and Wii sports were. I honestly don’t see anyone shelling out $50 for this. ARMS looks like Nintendo tried to capitalize on the Splatoon love with a fighting game. Of course they put the usual Nintendo spin on it like they did with Smash Bros. It remains to be seen if the game has depth other than mindless bashing however. I really feel Nintendo missed out by not associating it with Punch-out though, which I’m sure most people would agree with. Splatoon 2 was a nice surprise. More Splatoon is always good. The new weapons and maps seem cool. But then they showed Mario and oh boy was this a big change. New Donk City is a radical change from almost every map that we’ve ever seen from Nintendo simple because it’s Mario in OUR world. The clash between art styles is incredibly jarring but personally I love it. The wide variety of worlds shown were really cool, like the day of the dead level where Mario collects what looks like purple nachos, or the deliberately low poly world with the cooking/food theme which is eerily reminiscent of No man’s sky. You have the standard classics like the Egypt level but the wide open levels gave one a 64/Sunshine feel which was sorely missed, at least from me. The trailer was capped off with a giant mech centipede boss that seemed more at home in Bayonetta 2 than a Mario game, and the reveal of Mario’s sentient hat that can be thrown and can act as a platform. It gave me a very Minish Cap vibe, and the googly eyes certainly reminded me of the good old Rare days. 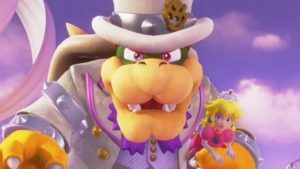 Oh, and Bowsers pimp suit. Xenoblade also got a sequel with Xenoblade Chronicles 2. X got the shaft it seems. Hopefully the game lives up to the first game. Fire Emblem Warriors is a natural fit for the crossover series. Mario 8 deluxe is a remaster with more maps. So they’ve shown more of the hardware as well and some of the design decisions are baffling too. Two USB 2.0 ports ? Not even 3.0, especially since the console itself is plugged in with a USB type-C? But it’s still far too soon to speculate. Despite the tone of the article it’s important that Nintendo succeeds, both for the video game industry and for the consumer. 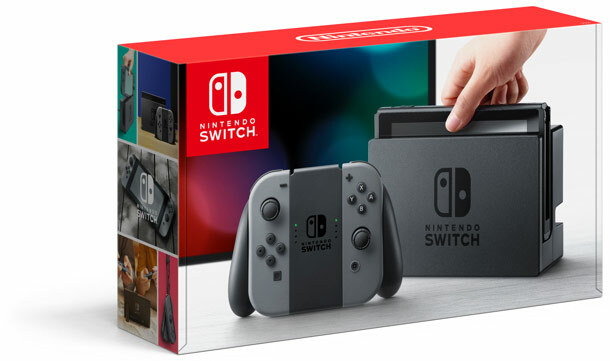 Most of us have grown up with Nintendo and their games and it would be a massive blow if Nintendo were to forced to shut down their hardware business because they had a couple of missteps. At the same time their decision making process has been stuck in the past for far too long and their unwillingness to integrate features of modern console gaming has hindered them, and rightfully so. If there is any change in that front, I guess we will see it in a month, when the Switch finally launches.